Apple TV 4 and 4K users can go ahead and download the full and final tvOS 12.2 update for their set-top boxes right now. Whenever Apple releases a new wave of software updates, Apple TV usually manages to find itself in all the noise. Though the changes are little to none in pretty much all point updates, but these changes are worthwhile nonetheless as they ensure the proper functioning of the Apple TV hardware. Today, Apple has released the full and final version of the latest software update for users around the world, tvOS 12.2. And quite frankly, it doesn’t quite bring a lot to the table. In fact, if we installed this update on your Apple TV and never told you, you probably wouldn’t realize that something new is ticking under the hood. However, under the hood is where all the changes lie. Those changes make sure that you go through the most bug-free experience while consuming movies or TV shows. Furthermore, like any other software update from Apple, this one improves performance by a small margin as well. In order to download tvOS 12.2 final right now, launch the Settings app on your Apple TV then scroll all the way down to System then then select Software Updates. Download the latest tvOS update from here. It will take a few minutes to download after which it will be verified with Apple and subsequently installed. Please make sure that you do not tinker around with your Apple TV during the entire process. Apple TV 4K users can only download the update over the air. But if you are an Apple TV 4 user, then you have the luxury of connecting the set-top box to your PC or Mac and performing a clean restore using iTunes. 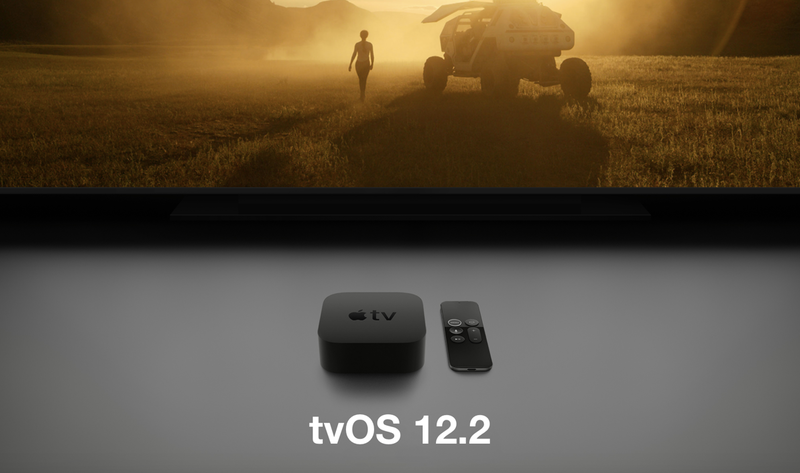 You can download the tvOS 12.2 IPSW file from the link below. Remember, you will need a USB-C cable in order to interface the Apple TV with your computer.